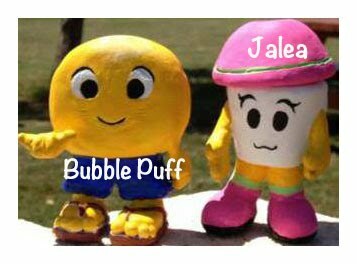 Bubble Puff & Tea was established in 2010. We are located in the Kapahulu area, right on the edge of Waikiki. We pride ourselves in serving the finest Asian-European-American fusion desserts, snacks and drinks. Items on our menu are locally produced in Hawaii, and freshly made-to-order*. Bubble Puff is the name of our boy mascot character, which is also the name of our crunchy waffle sweet snack. Jalea (means jelly in Spanish) is the name of the girl mascot character, which we named our jelly drinks after. In addition to the bubble puff sweet snacks and the jelly drinks, we also serve fresh iced tea, fruit juices and fresh fruit smoothies with tapioca pearl or boba. Come by and sample our innovative menu! Our business is the culmination of our presence at local farmers markets and fairs. We also cater public and private events. If you would like to book a private event or a party, please contact us.